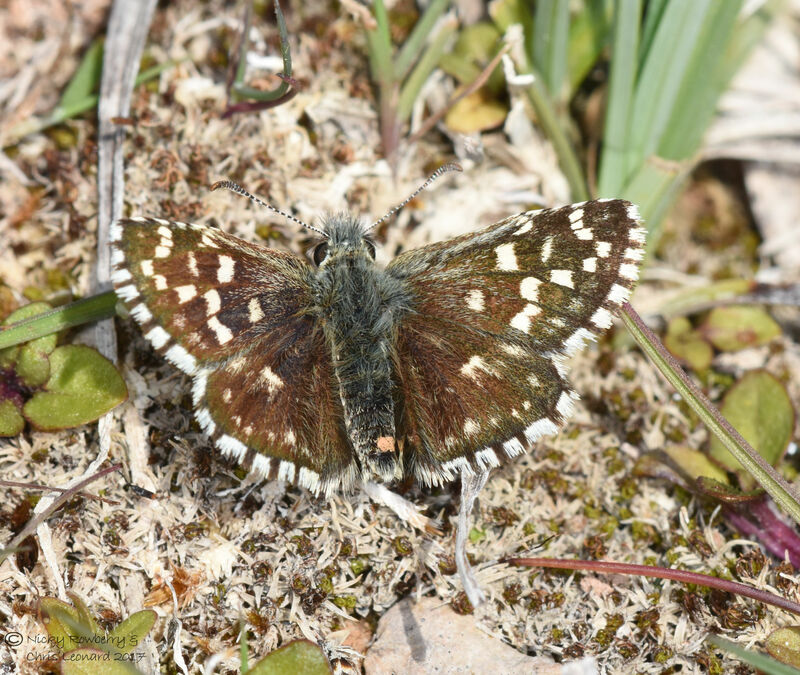 Yesterday we went out on our first butterfly bagging expedition of the year – our target the Grizzled Skipper. 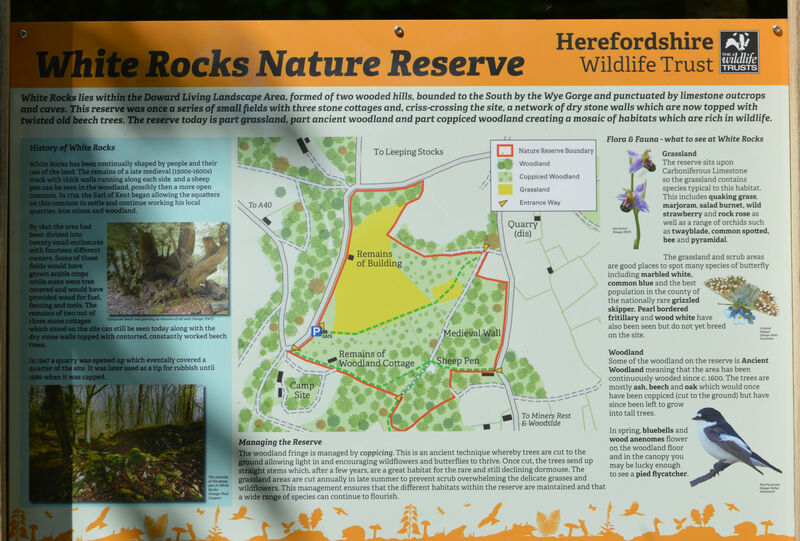 Using the excellent Butterflies of the West Midlands book as our guide we headed down to the Doward in South Herefordshire. The woodlands of the Doward are part of an Area of Outstanding Beauty – always a good starting point for any day out! 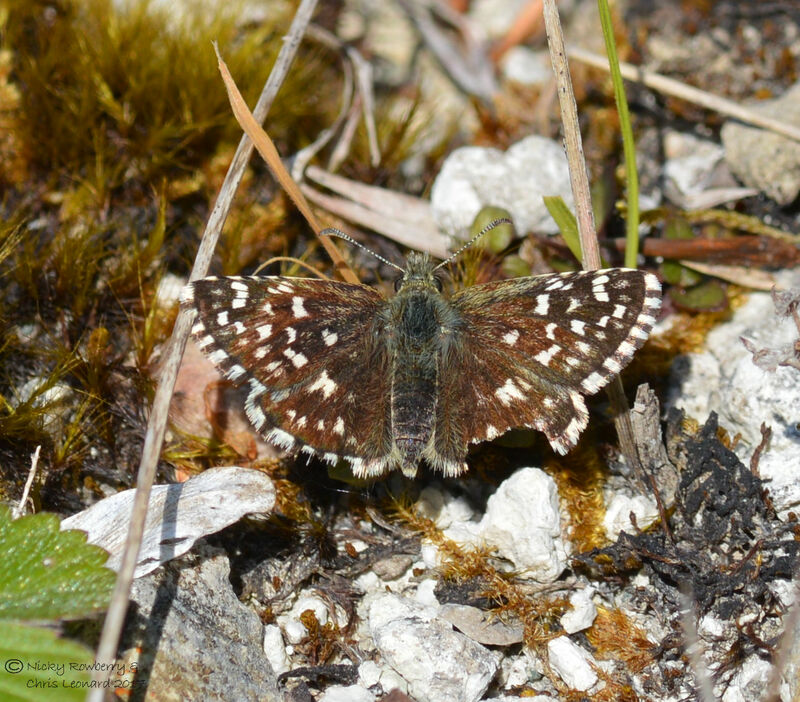 The butterfly guide book had described the best route to take to see the Grizzled Skippers, start at the main entrance to the White Rocks Nature Reserve. In our usual disorganised way we managed to head off in completely the wrong direction and somehow started at the other entrance. 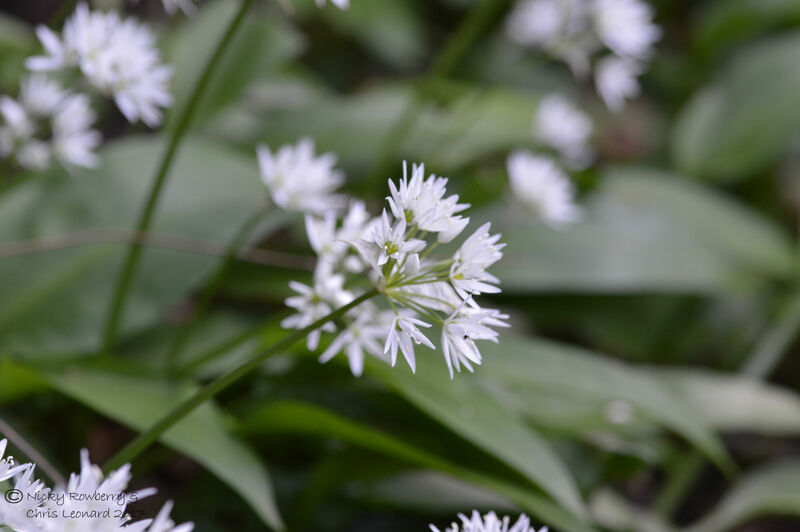 This was no great disaster though as it took us into the woodland which was carpeted with wild garlic (you could smell it in the air) and looked stunning. 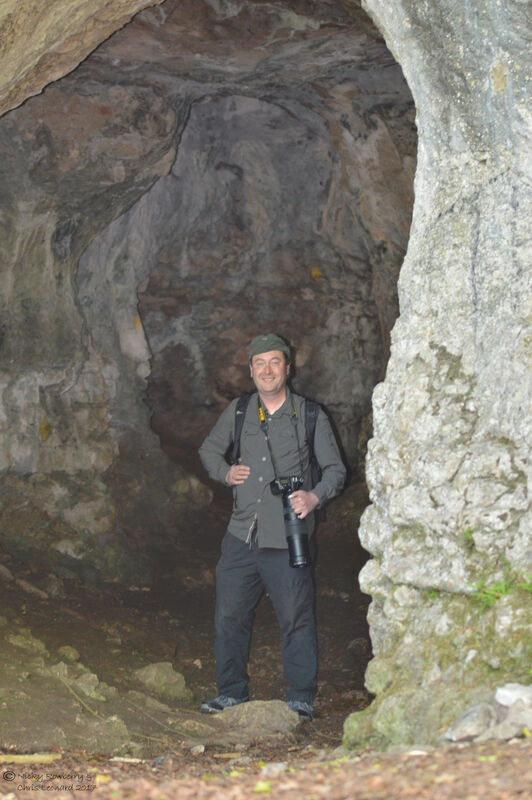 Our accidental route also meant that we stumbled across King Arthur’s Cave. The Doward lies on limestone rocks and the cave goes deep inside them (not that we ventured very far ourselves). It has apparently been used by humans since Palaeolithic times, with everything from flint tools to mammoth bones having been found in there. 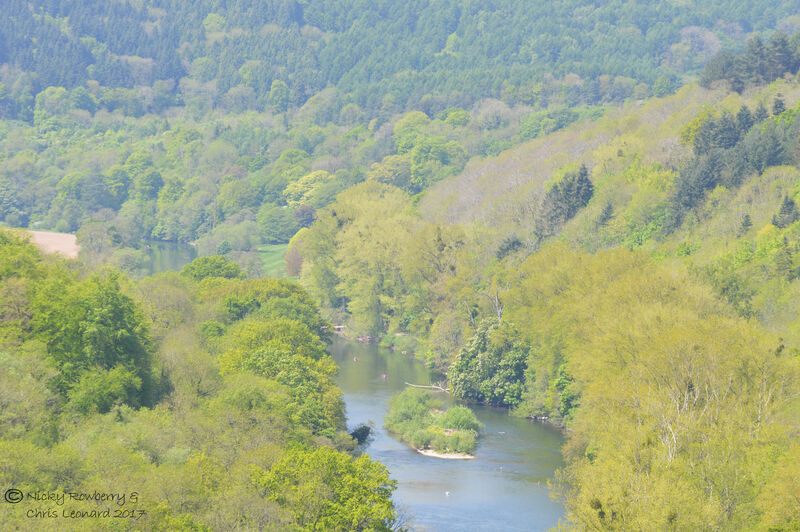 We carried on our erroneous path and came to a stunning view point looking over the River Wye. By this time we’d twigged that we were on the wrong path, so tried heading back up hill, stumbling upon a large quarry as we did. It was baking hot in the quarry, so I stayed at the edge while Chris (who had been sensible enough to take a hat to keep the sun off his head) ventured in to look around. While I loitered by the gate, I spotted what I thought was a small moth darting about. 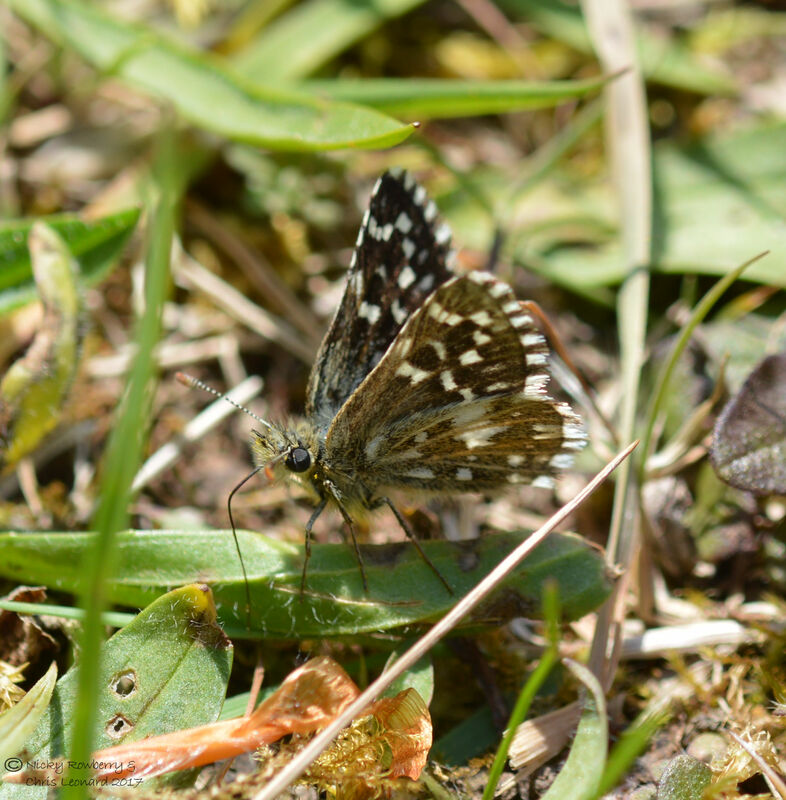 Closer inspection revealed it was actually a Grizzled Skipper – we’d found one by shear chance after all! I’d never realised that they would be so small, or so fast – it could disappear very quickly. 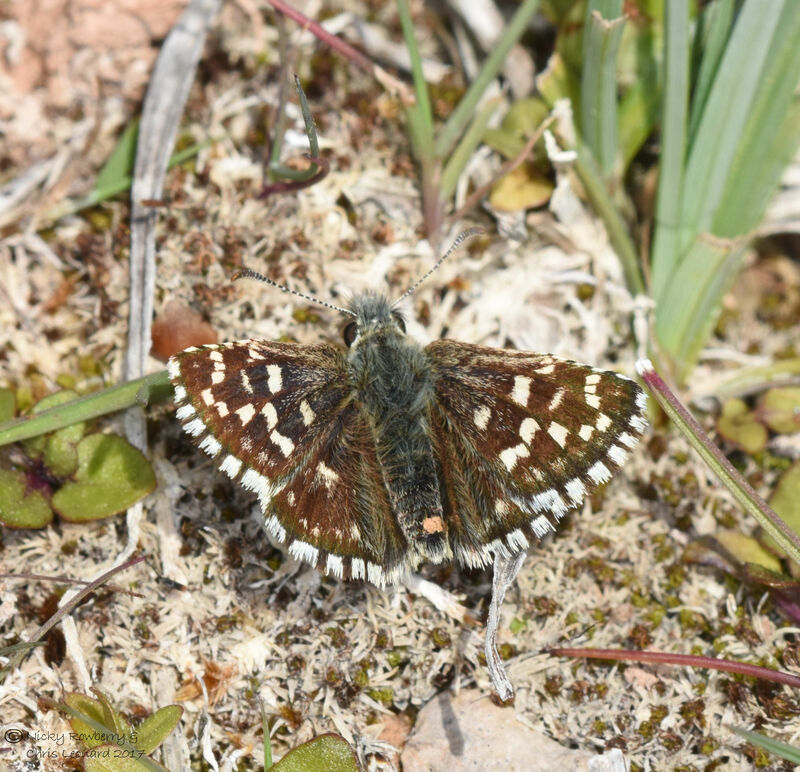 Out first ever Grizzled Skipper wasn’t unfortunately a pristine specimen, looking a bit ragged at the edges, but it was what we came looking for, so I took loads of pictures. He or she looks a bit more respectable from the side as you can’t see the missing bits of wing. Flushed with success (and the heat of the quarry) we decided to head back to the car and start again on the proper route. Not too surprisingly on the proper route it was a lot easier to spot the skippers. We quickly found about half a dozen flitting around a sparse area of ground. They were so quick though it was difficult to track them – I think all 3 photos below were of the same slightly slower specimen. 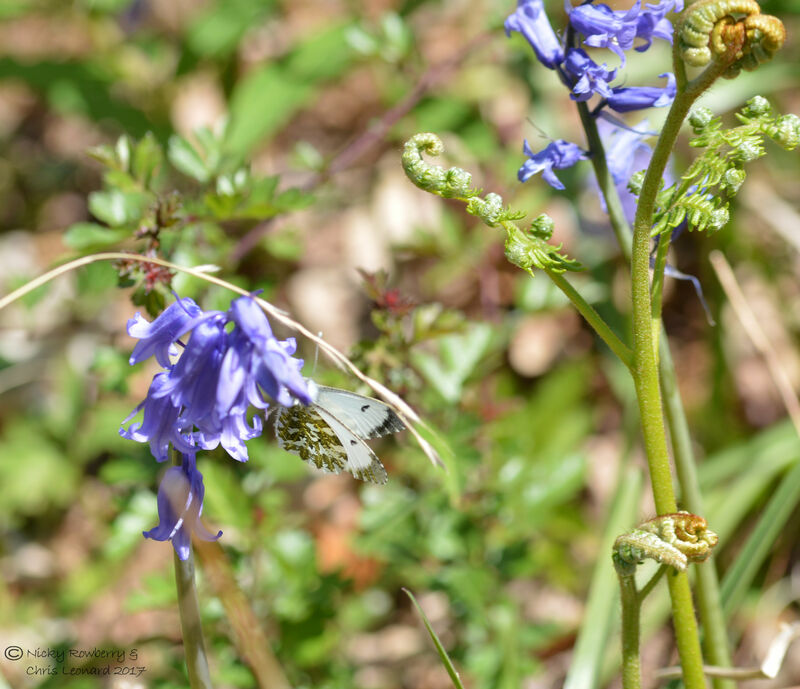 It is still relatively early in the “butterfly season”, but we did spot a few other species around the bluebells – a female orange tip and a large white. 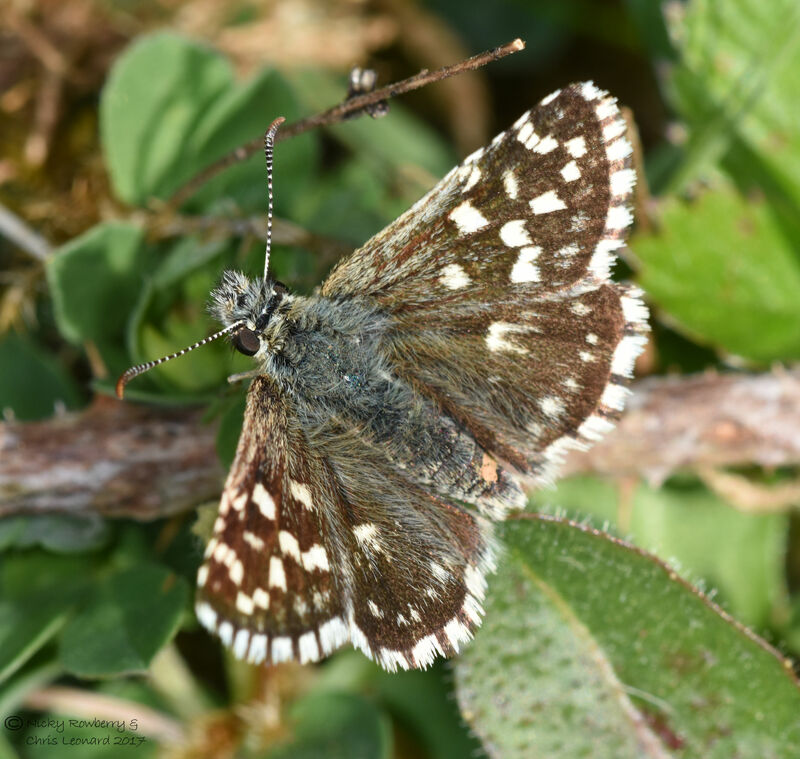 The Grizzled Skipper is a delightful little butterfly, but it unfortunately becoming increasingly rare. 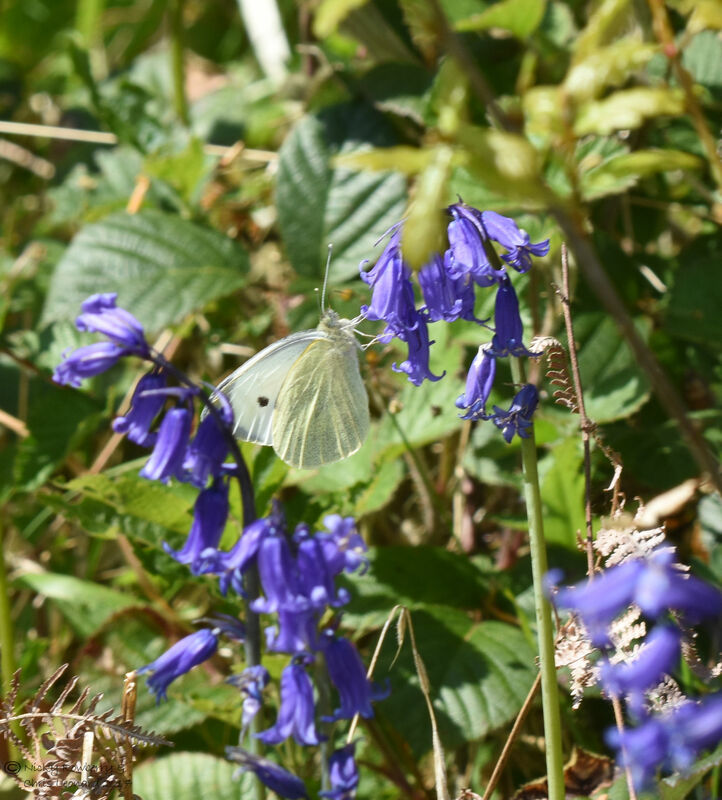 There are not many sites around us where we could have seen them, so we were very lucky to be able to add this species to our butterfly tally. 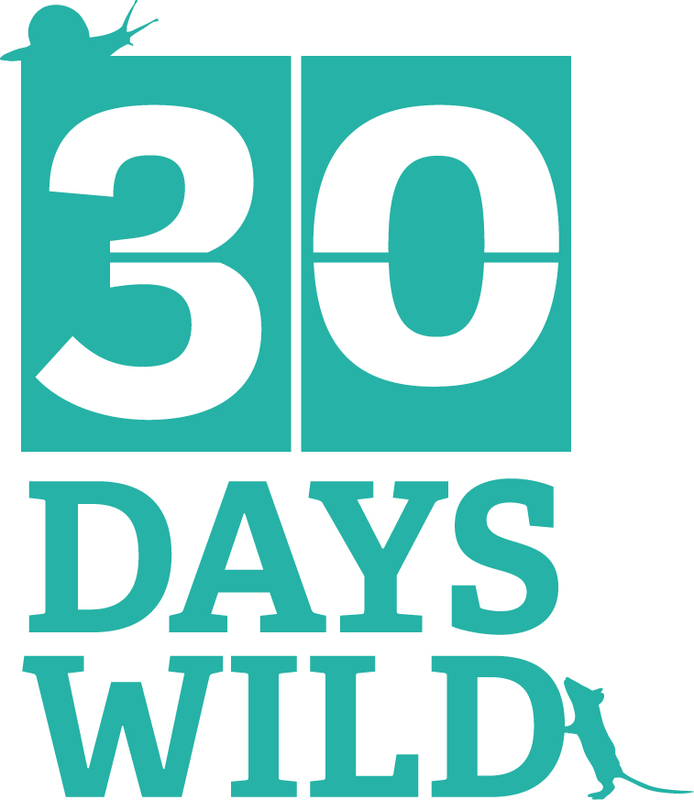 Species number 39, only 20 more to go, but I have the feeling they are going to become increasingly difficult to find! Thanks Christine. I always enjoy reading your blog too – you and David are so much more adventurous than Chris and I are!